Texas resident Kevin Fowler was in his garden shed when he found a snake. 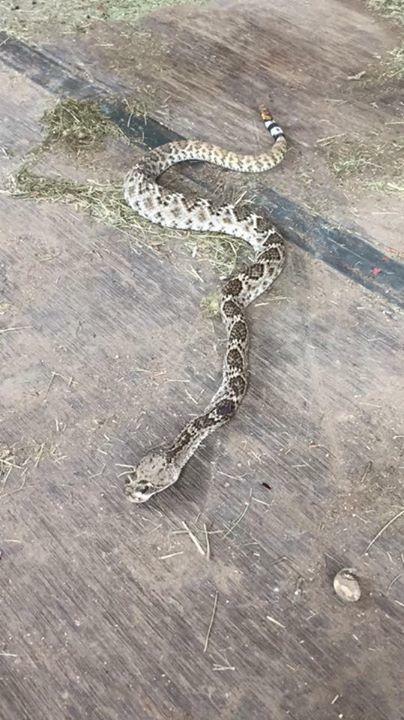 It was the third rattlesnake Fowler had found in his shed in a month and he took to Facebook to point out how dangerous the snakes were, and it’s been shared thousands of times. 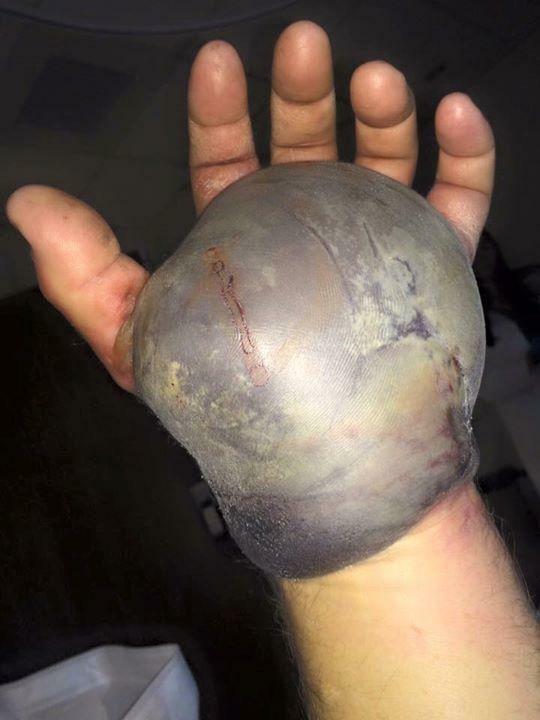 If it’s not obvious by now, yes we’re going to show pictures of a snake bite. 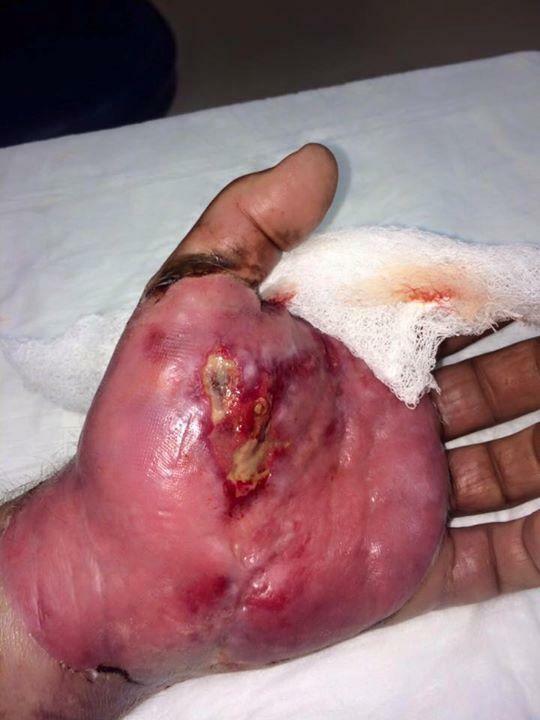 Again, squeamish? You’re going to want to look away. We hope we don’t find a snake and get bitten. And we hope Tommy makes a full recovery.